Hello Friends & Lovelies!! 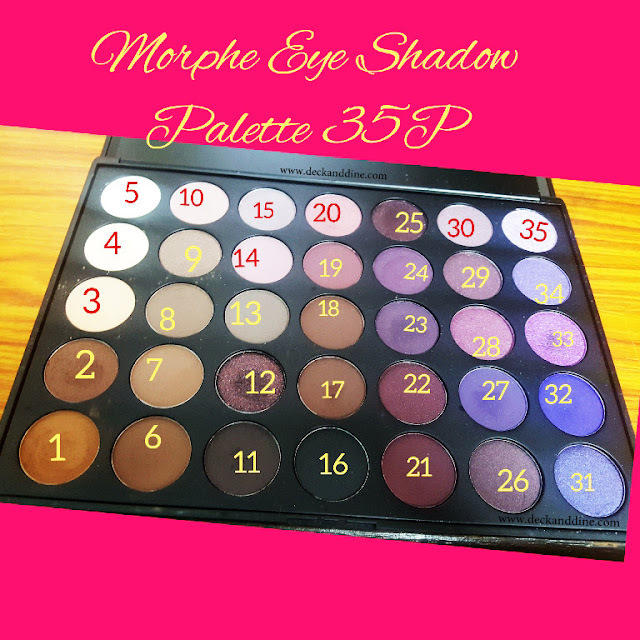 Today I am going to review the Morphe Brushes 35P Plum Eye Shadow Palette. Well let me inform you first that I didn't have to buy this one as I got it as a 'Gift' from Madhubani Chakraborty when we both were busy ordering and buying makeup products online in USA. Well I was in USA for two months this year and so we girls gang made it a point to not to miss on raiding online. Without any further "gupshup" , let's get in with the review...my honest review and feedback about this palette. Morphe is an absolutely famous foreign makeup product brand catering a variety of makeup stuff covering it all with specialising in producing amazing eye shadow palettes and brushes in such affordable price ranges. Of course it's a foreign brand and so we Indians have to go through a lot of process to buy them if ordering from India through Instagram Sellers where you have to pay a bit high which includes shipping and customs (Click HERE to know who are the genuine Instagram sellers) and or direct from their website with two options of shipping charges to choose from - international economy of 29.95$ and International Priority of 35.95$. As I was staying at my Brother-in-law's house in Chicago, so got it delivered with basic domestic charges which of course Madhubani didn't tell me. First of all these palettes are priced at 23$, in Indian Currency Rs 1500 approximately, which are extremely affordable considering you are getting 35 different shades in big round pans all under one big palette. Only problem is that they don't have names so it's difficult to discuss with each one of them. So that you can understand I have numbered them in the image. Coming to the texture, I am impressed as they are buttery smooth, silky soft and easily bendable. But yes they come off a little dusty when used or when swirled with a brush on the palette. 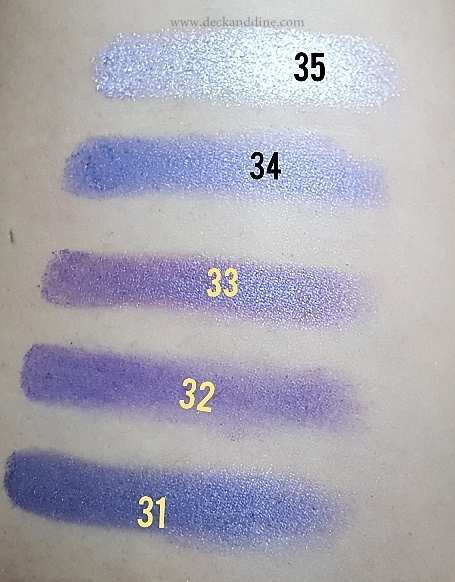 The pigmentation is impressive again, especially the matte ones. I am in love with the matte shades and their textures. Satin and Shimmers varies as it goes from light to darker shades but they are easy to play with as you can build them up. This palette mostly contains Neutrals, Warm Browns, Berry and Plumy and Purple Tones. This palette celebrates purples, which are difficult to pull off. But as these shades are easily buildable ones, you can play with them according to occasions and your mood. Special mention to the last row as its full of Purples with both Shimmery and matte texture. And you get one Matte Black Shade too. Some of the shades are duo chromatic too, and saying that it made me jump on my feet as am excited. This palette can easily used to create both day and night time looks. There are bold colours in lighter and darker shades and the browns and neutral shades help to tone them down easily. 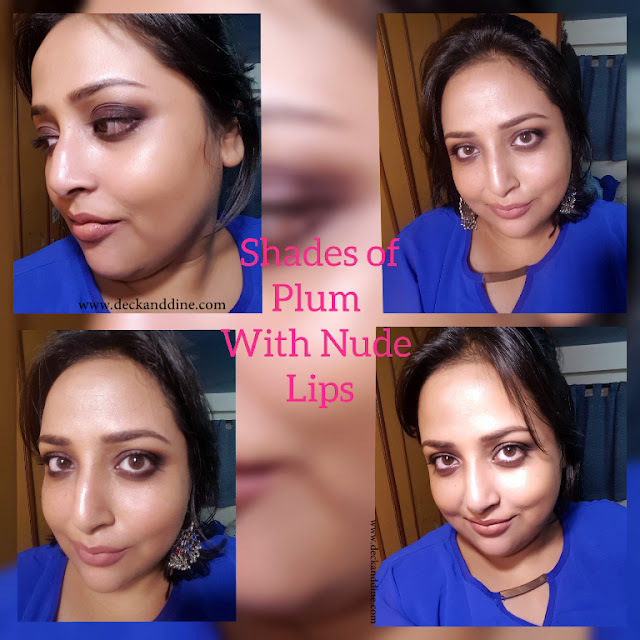 There are few glittery shades that does not show out that well when used compared to what they look on pan and they are at times crumbly which result in fall out. Best way to avoid fall out is to use them with wet brushes. At least I did so and it helped to get the right colour pay off on the eye lids. Proper priming of eyelids prior of the shadow application helps in the process too. Some shimmers need too much building up and light shimmer can be used as Highlighters. Super impressed with their staying power. They don’t tend to show up lines and creases after application. And can only be completely wiped off with makeup remover. Overall Morphe did a good job with this palette. This is my first Morphe Experience and I am definitely loving it and always feel excited to play with it. 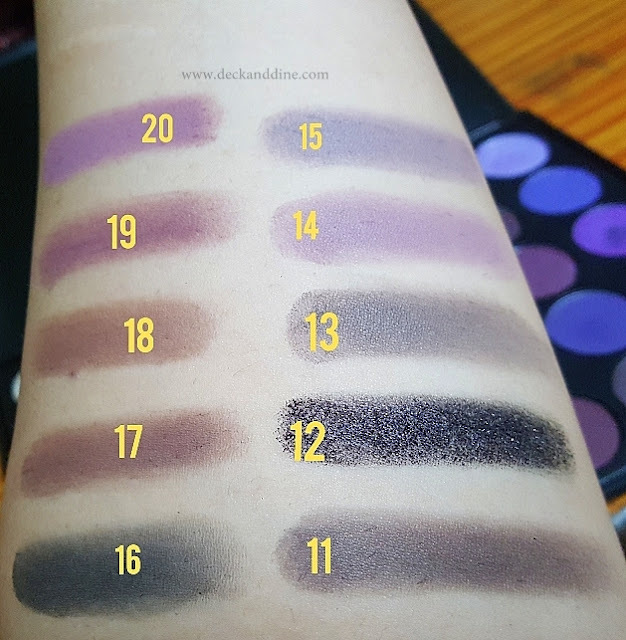 35 shades in one palette which covers neutrals, browns, berries, plums, purples with matte, sheer, satin, shimmer and glittery texture - am more than happy to buy again if needed. 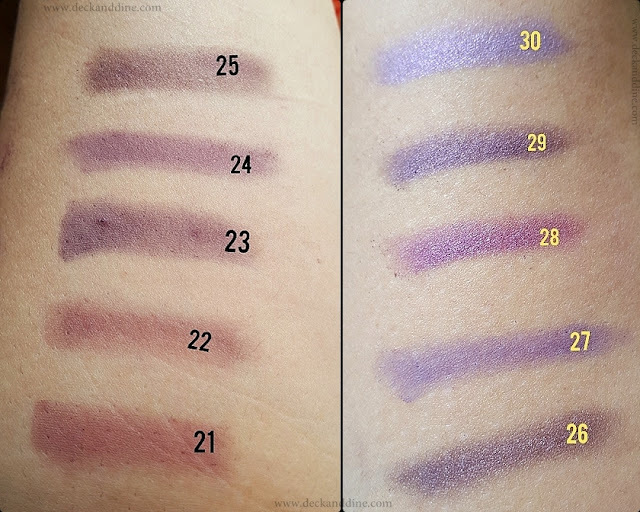 The mattes are the best, purples delighted me, satins and shimmers could have been better but can be worked as highlighters and the warm neutrals and browns helps to define the eyes......what more can I ask for?!! Anyway with these types of large palettes, this is common that some would fair great and some not so good. But overall if I have to say..... I am loving the palette to the moon and back for sure. Impressive pigmentation and staying power. Beautiful and exciting plums and purples. Easily bendable, buildable, some can be used as Highlighters, neutrals and warm browns easy to define eyes and to tone down bold colours. Buttery smooth and silky soft texture. Some shades does have fall outs. Shipping charges are pretty high from the site plus there are the customs to pay God knows how much. Satin, shimmers and glittery ones could have been better. So that's it for today. This is my take on this palette. 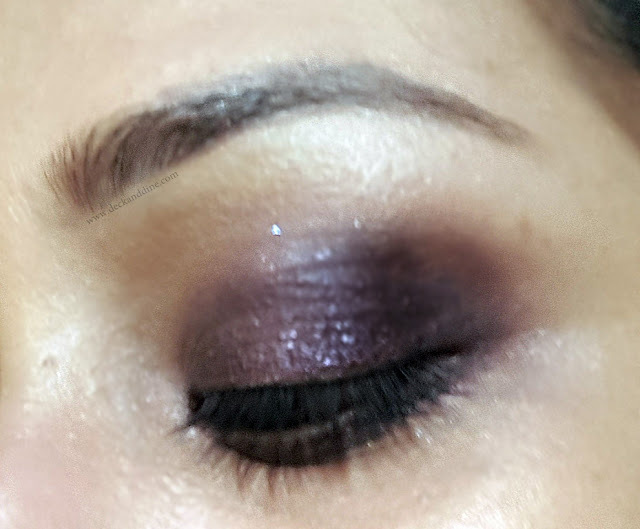 And in spite of some flaws, I am absolutely in love with the Plum Eye Shadow 35P palette by Morphe Brushes. Looking forward in buying more from this brand. 35 shades in one palette with versatility at 23$ is a good deal I believe. Do tell which ones are your favourite from Morphe Brushes. If you want to purchase one palette, go for this one or check out their so many good palettes that Morphe cater at affordable price range. I recommend and Mark them 4.5/5 . Follow Pamela Sarkar’s blog www.improvandexplore.com for more such reviews and recipes of mouth-watering dishes. Morphy is no doubt a blessing. I badly need to try their 35F palette, This one seems to be really good, too. Thank you for posting the review.